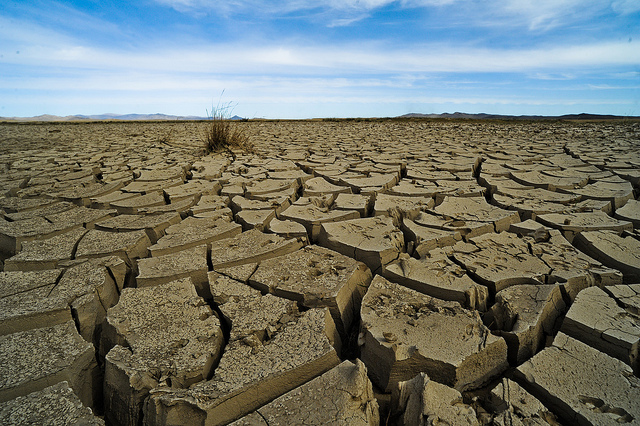 All over the world, the damage humans are doing to our climate is increasingly evident. Heat records are being smashed, droughts are taking their toll, floods and bushfires are costing lives and homes. Both the UN and the International Energy Agency have released reports proving that no new fossil fuel infrastructure can be developed if we are to have any chance of limiting global warming to 1.5 degrees. Additionally, existing coal, oil and gas operations need to be phased out in the next couple of decades. You’d think that of all the businesses out there, the insurance companies, which get hit with claims every time there’s a “natural” disaster, would be leading the fight for a safe climate. However, a new international report on insurance company policies for coal and tar sands paints a dismal picture. Especially for Australia’s largest global insurer QBE. 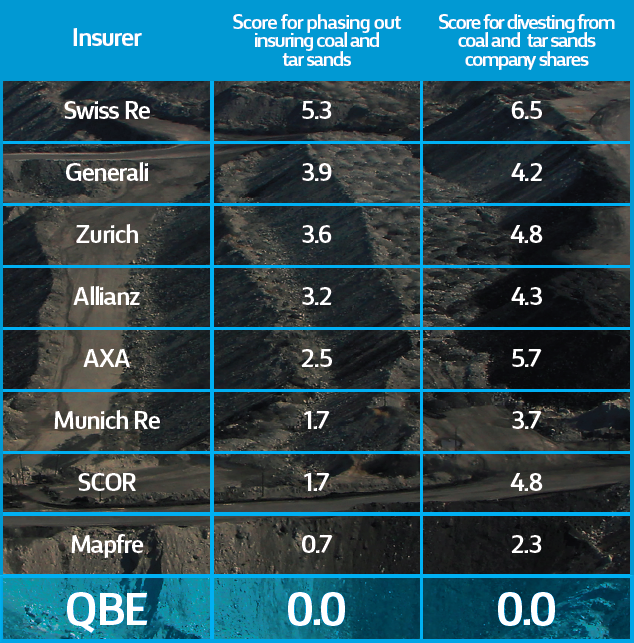 The Insuring Coal No More report released today reveals QBE is lagging behind its European competitors when it comes to acting responsibly on climate change. “Climate leadership” – which focuses on whether the company has governance structures and processes that consider climate change and climate risk disclosure, and whether the company has a public position on the issue. QBE scored zeroes because it has no policies at all on how it deals with the world’s two dirtiest fossil fuels. This means it has no restrictions to its investment in, and insuring of the single biggest driver of global warming. Other insurers, particularly in Europe, have started dumping their coal and tar sands shares and are restricting insurance to these deadly industries. QBE’s inaction is astonishing for a company that claims on its website that “a focus on sustainability…is an integral part of achieving our purpose”. On “climate leadership” QBE scored 4.8/10 mainly for their Premiums for Good program (just under 2% of QBE’s investments goes into bonds with a positive social or environmental impact) and its commitment to the Taskforce for Climate-Related Financial Disclosures (TCFD) recommendations on climate risk. Climate change is an existential threat for the insurance industry. Worsening extreme weather is pushing up premiums, hitting profits and rendering more and more areas uninsurable. QBE itself lost US$1.2 billion in 2017 mainly because of extreme weather. QBE has a decision to make. Will it do its job and protect its customers and shareholders by ending its support for fossil fuels? Or will it continue to prop up the industries driving extreme weather? advocate publicly and actively for policies that will rapidly reduce carbon emissions and phase out fossil fuel use. Update 30 March 2019: campaign win!